Email marketing is alive and better than ever in today’s world. In fact, email marketing brings in an ROI of $44 for every $1 spent. That makes it more powerful than paid search, display ads, social media, and affiliate marketing. It’s a vital tool not only for businesses but also developers. Most developers aren’t very involved in marketing emails and spend more time with transactional emails that might be app or web-generated. These are tied directly to the codebase, and these are the emails that prove the biggest ROI. Experian even values these transactional emails as 8x more powerful than marketing emails. With numbers like that, developers need to get serious about their email development. That means taking HTML emails seriously. Most marketing or transactional emails for companies are sent through an ESP or email service provider. This is a third-party service that does a lot of the heavy lifting for developers, yet the ball is still in their court. These emails need to be mobile-responsive, easy to read, and well designed. Let’s face it, HTML emails tend to be left behind when it comes to web development. Plus, most email clients only support a subset of HTML and CSS to cut down on spam. 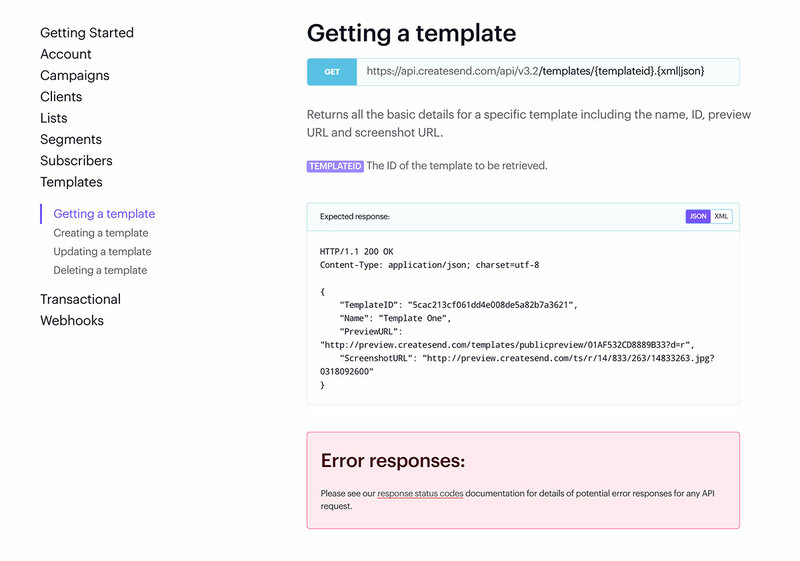 It’s all about tables and inline CSS to create emails that really stand out—without getting flagged as spam. It’s important that ESPs don’t just solve the needs of marketers but developers as well. Creating and sending quality emails is an easy way to push ahead of the competition. 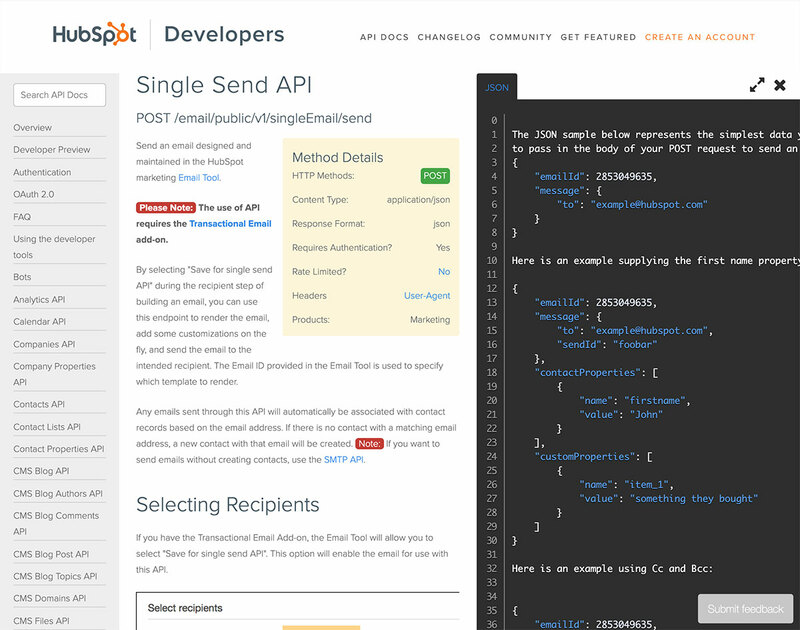 Here are the best marketing ESPs for developers so you can build and send campaigns with ease. One of the most popular email marketing solutions is GetResponse. It has great automation tools that set it apart from other simplified ESPs, like smart campaigns and segmented contacts. 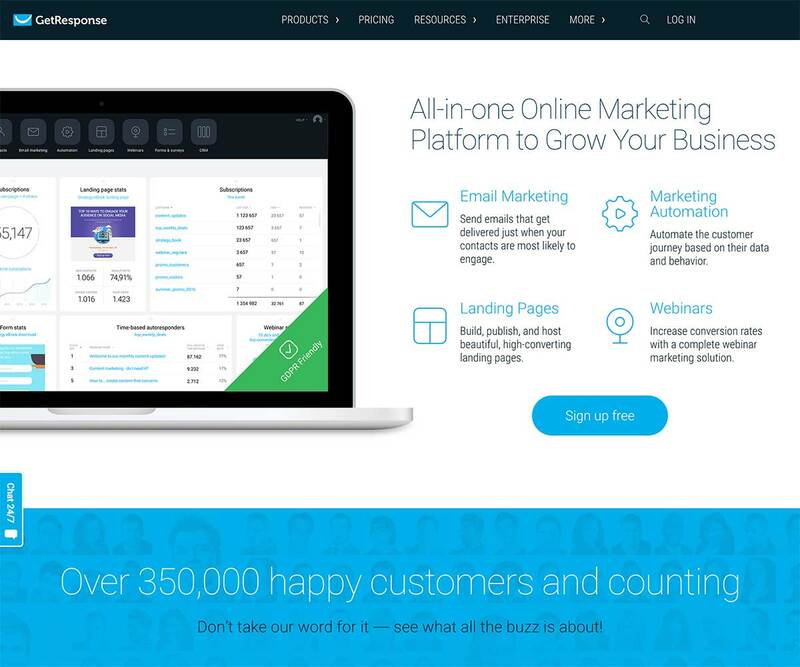 It also has useful landing page building features so you can integrate your sign-up form with your message. Another simplified ESP is MailChimp. The interface is incredibly simple with a variety of support features. 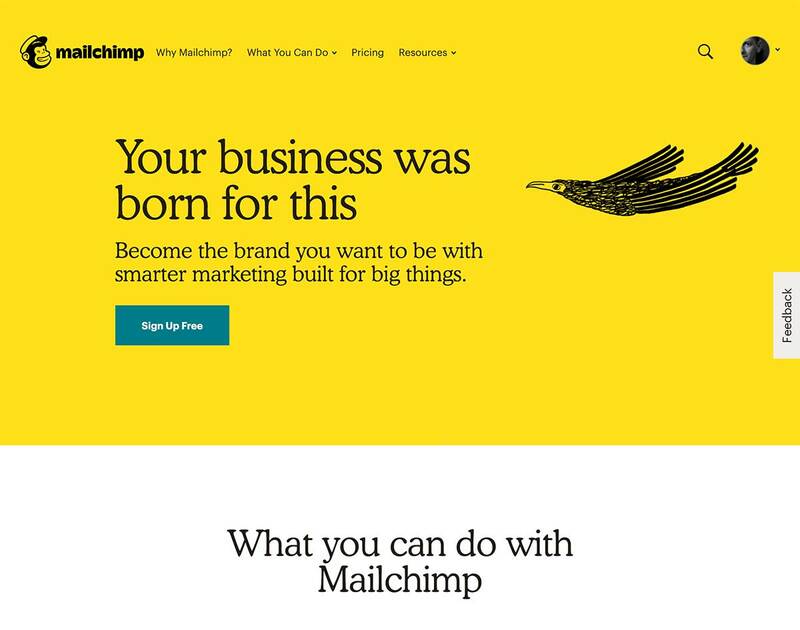 MailChimp is designed to be used with other development platforms like WordPress, Shopify, and Magento. 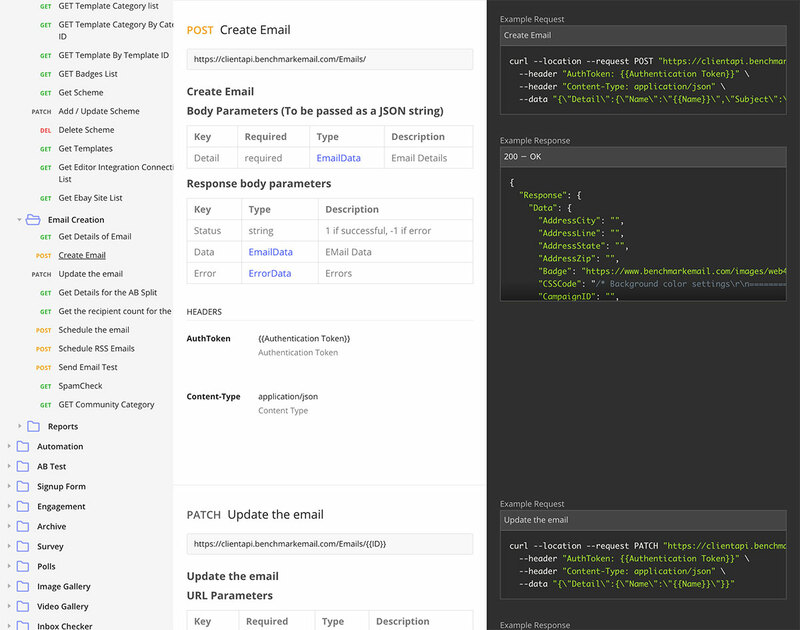 MailChimp also has an easy email creator, though the HTML controls offer more flexibility. 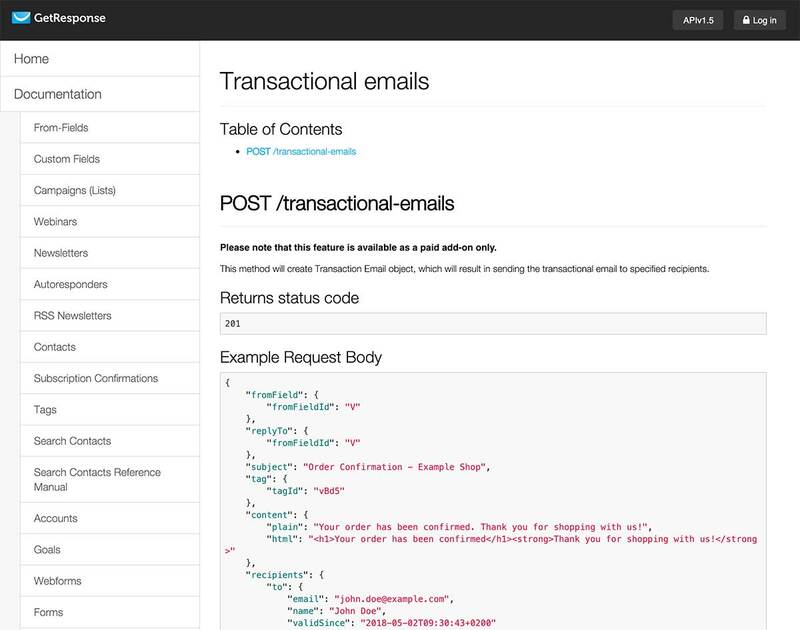 You can use segmented contacts, merge tags, and custom delivery times. Ultimately, MailChimp is the perfect all-in-one solution for learning the ropes of email design. 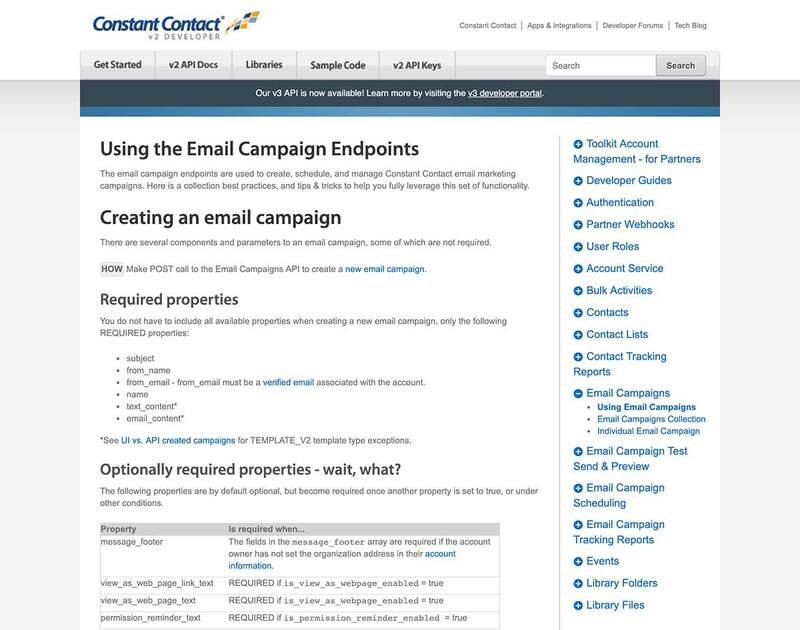 ActiveCampaign is an ESP designed with sales in mind. It’s all about making smarter emails that lead to more sales. The biggest draw is the mobile-friendly signup forms built into the platform. 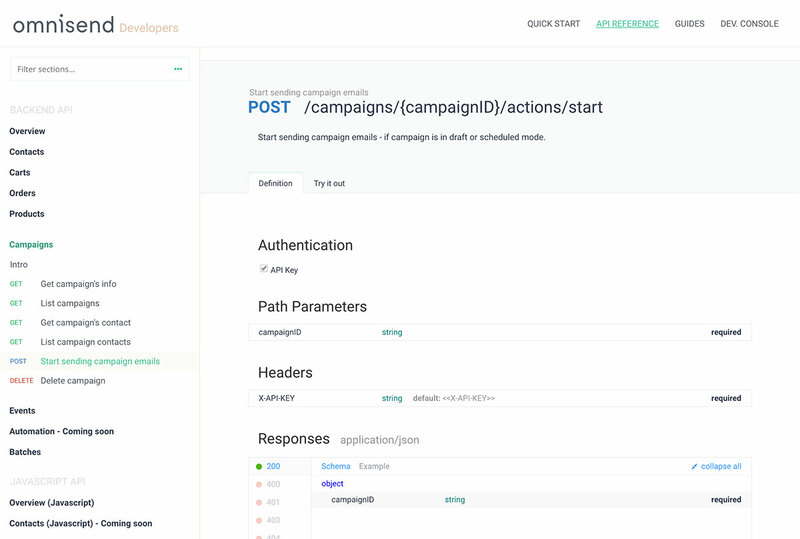 You can integrate ActiveCampaign with other platforms like WordPress, and you can even send SMS text messages after campaigns. ActiveCampaign is one of the more expensive options, but it packs a big ROI if you’re trying to build a quality sales funnel. Developers can utilize the custom campaign features to create highly-optimized marketing channels that reach users directly. One of the most well-known and fastest growing ESPs is Constant Contact. This is often chosen by marketers and developers because it’s absurdly simple to use. 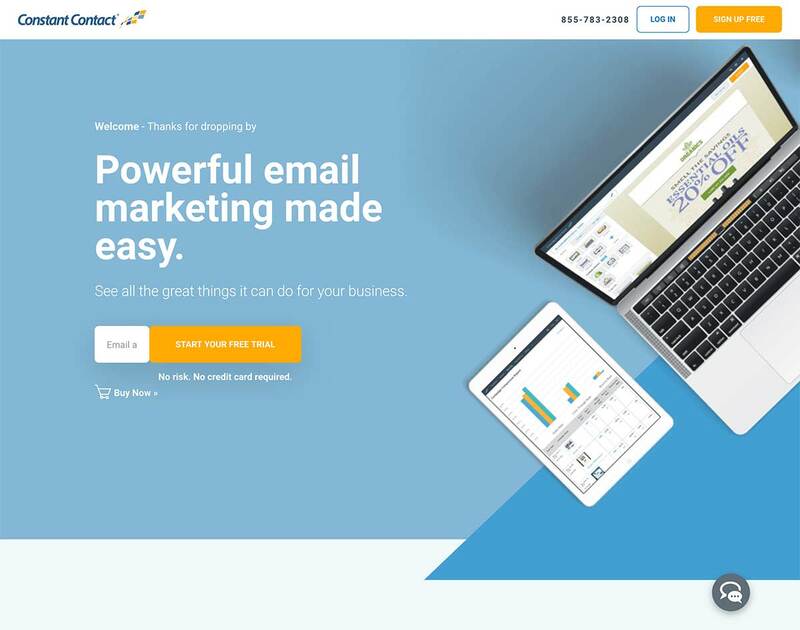 As the most beginner-friendly email marketing service, it’s easy to manage email lists, build templates, and track your campaigns. Constant Contact is ideal for small businesses who don’t need complex, hard to use features. 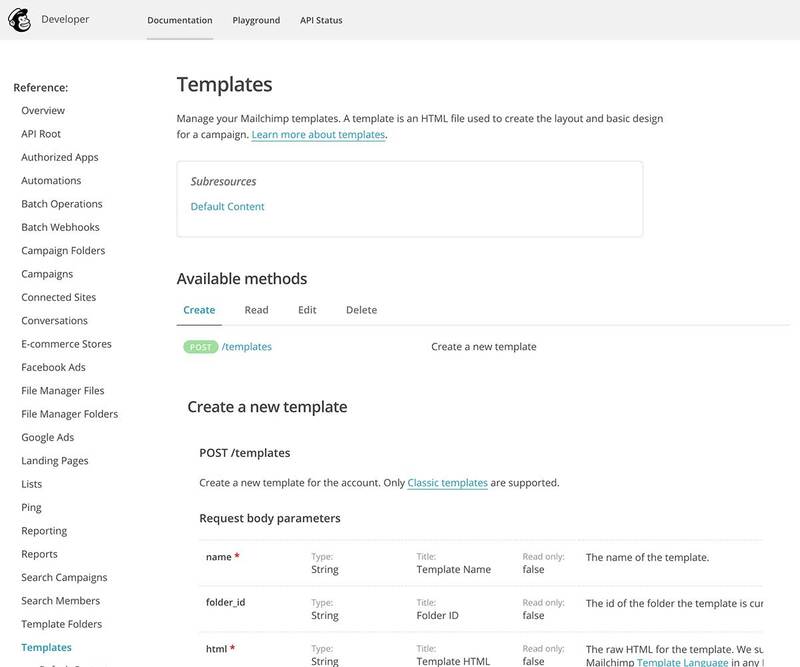 Because it’s so easy to get started with, it’s also ideal for developers who want to play around with HTML emails for the first time. Don’t miss out on their live training and seminars which teaches beyond the basics of email marketing. 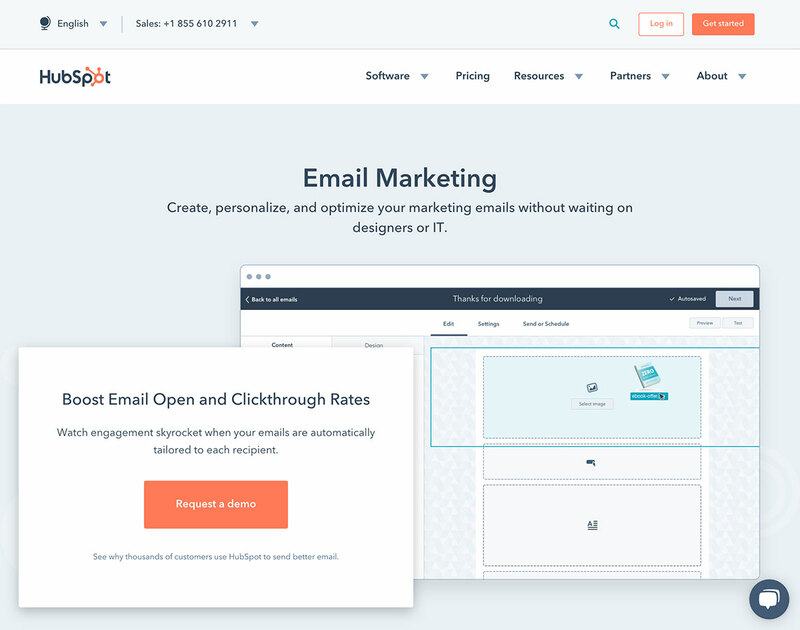 HubSpot is a great resource for a variety of marketing resources and features, but their ESP is one of the top on the market. It features pre-built workflows so it’s easy to hit the ground running, and you can integrate easily with other sales tools and customer relationship management solutions. Hubspot focuses on intelligent campaigns built on data. By automating user marketing, it’s easy to reach customers quickly without wasting time and money. However, these features come at a cost. Hubspot’s email plans are not inexpensive. 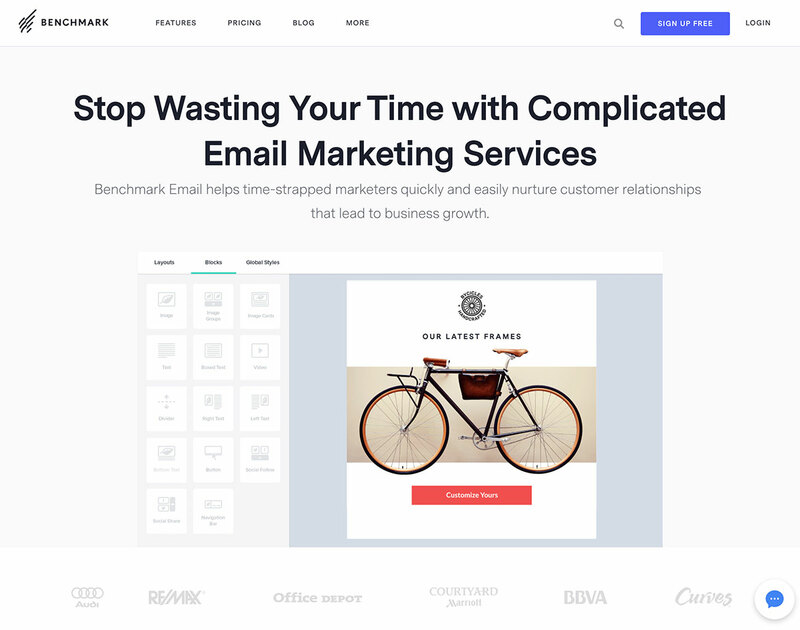 Benchmark prides itself on being the opposite of complicated. 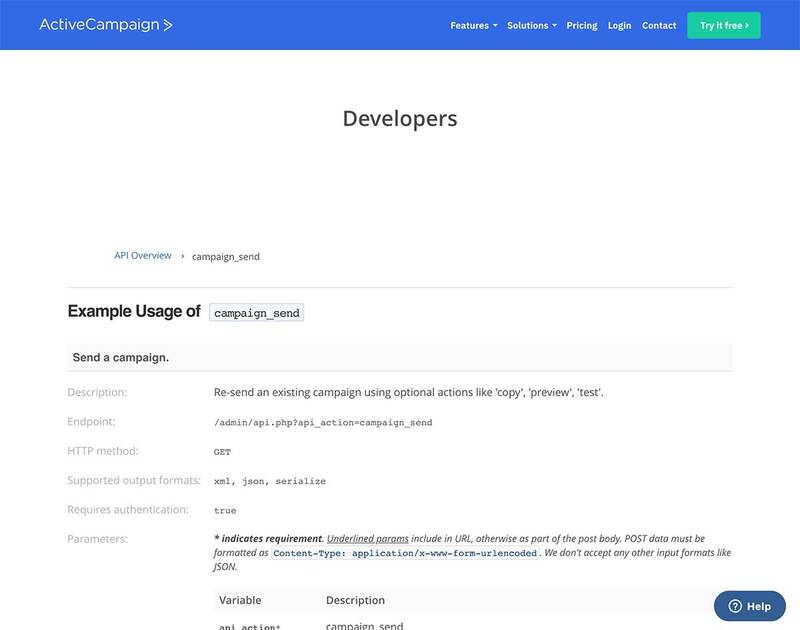 It’s built for developers who don’t have time to dedicate to building highly styled campaigns since it comes packed with so many drag-and-drop features. It’s easy to use with some advanced features thrown in, but it is prone to bugs so beware. You’ll also need a paid account to access advanced features like email automation. 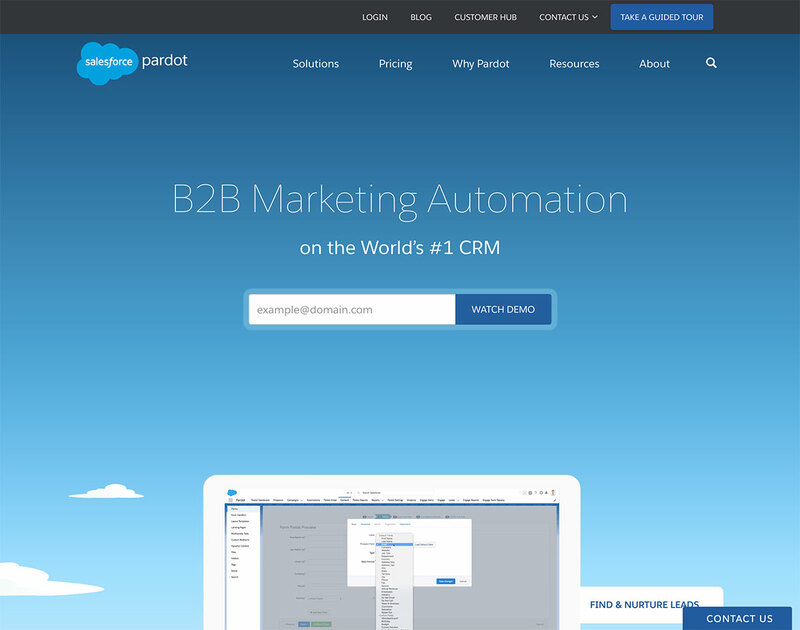 Pardot is one of the most powerful B2B marketing solutions on the market. It’s structured around automation, so you can create really powerful campaigns built on intuitive design. Created by Salesforce to help businesses better market their services, Pardot is a force to be reckoned with. However, plans are incredibly costly, so this is only an option for serious B2B marketers. Campaign Monitor was previously viewed as lacking behind some of the other leading ESPs, but it’s trying to change that with new features. It recently added Monitor Insights to its arsenal of tools, and this helps customers learn more about their metrics, such as audience health, engagement, and ROI. It’s easy to create visualized customer journeys with Campaign Monitor, so it helps you maintain a more human experience through email. That’s something that’s hard to master on other platforms, so Campaign Monitor is doing something right. For developers, there are a lot of easy to use features like automation, design, and integration tools. 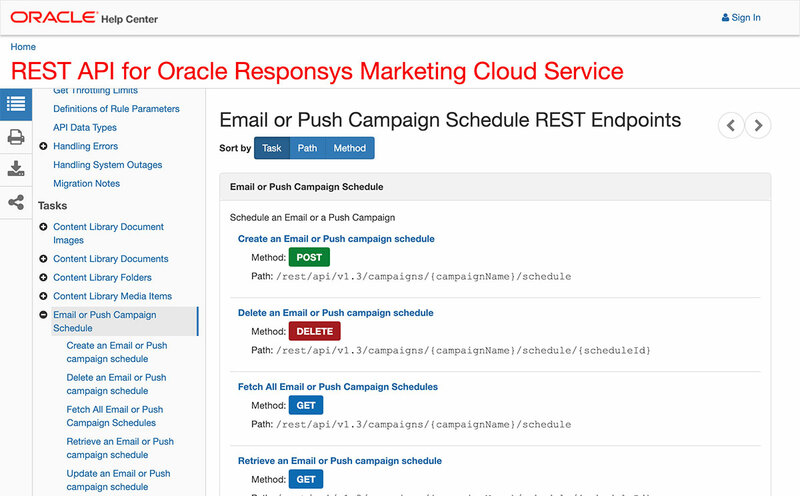 Oracle Responsys is a cloud-based marketing automation tool. It’s built for more than just email, also packing tools for mobile and social platforms. The marketing platform is highly advanced, and also highly personalized. It’s all about segmenting customer bases with the unique Audience Designer tool. The Email Message Designer tool in Responsys, which recently merged with Eloqua, is highly advanced and allows access to a lot of customer databases. 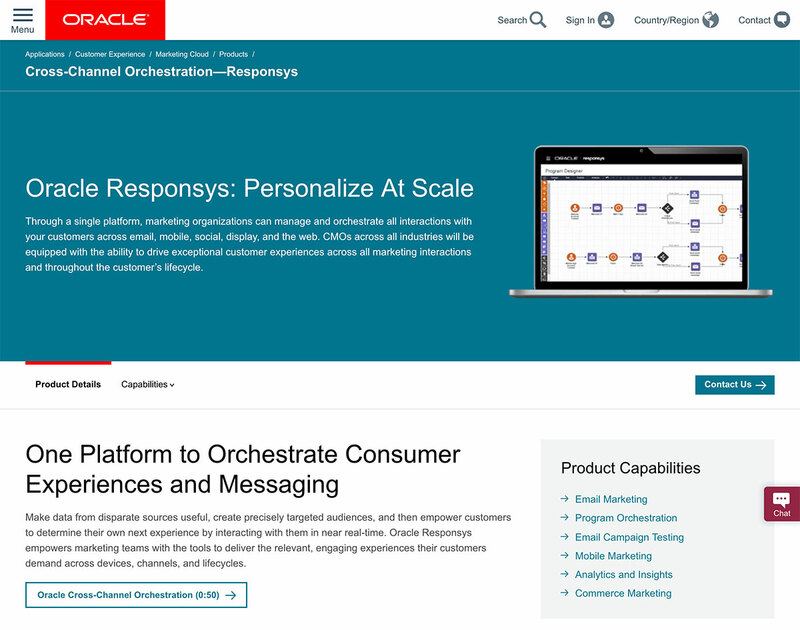 Unlike Eloqua, Responsys is B2C based rather than B2B based. It has many effective tools for storing customer information and putting this information to good use. Finally, Salesforce has an ESP (previously ExactTarget) built specifically for SMBs. It’s built with powerful sales tools to make it easier to integrate all of your existing sales platforms as well as marketing tools. 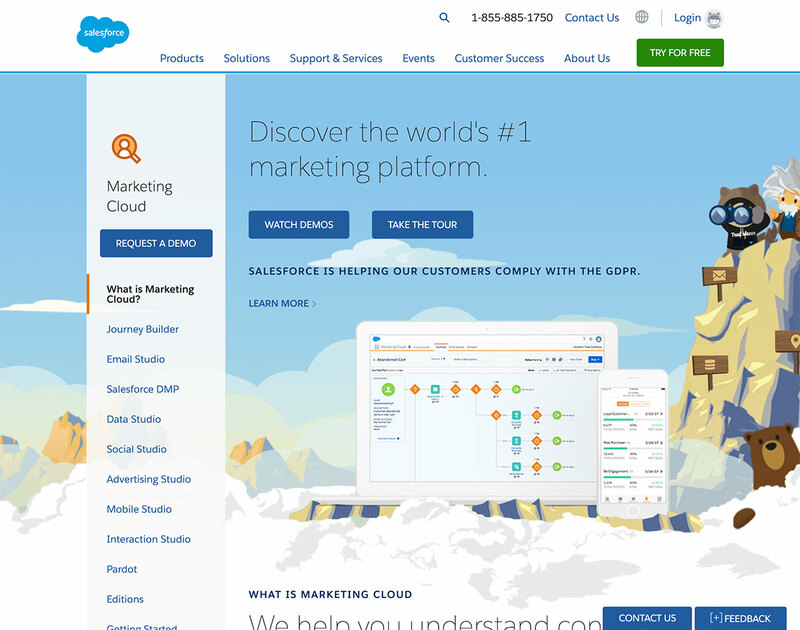 With email features like autoresponders, A/B testing, and customizable email templates, Salesforce is a solid choice for streamlining your marketing efforts. 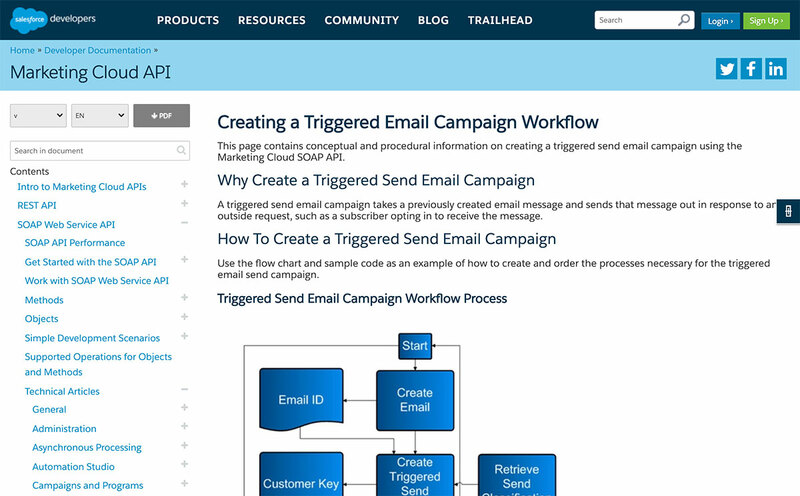 One of Salesforce’s unique features is their campaign management tool. This is designed for businesses needing to follow the customer journey from lead to sale. It’s possible to discover more about your ROI with Salesforce, and that’s essential to any successful email campaign. 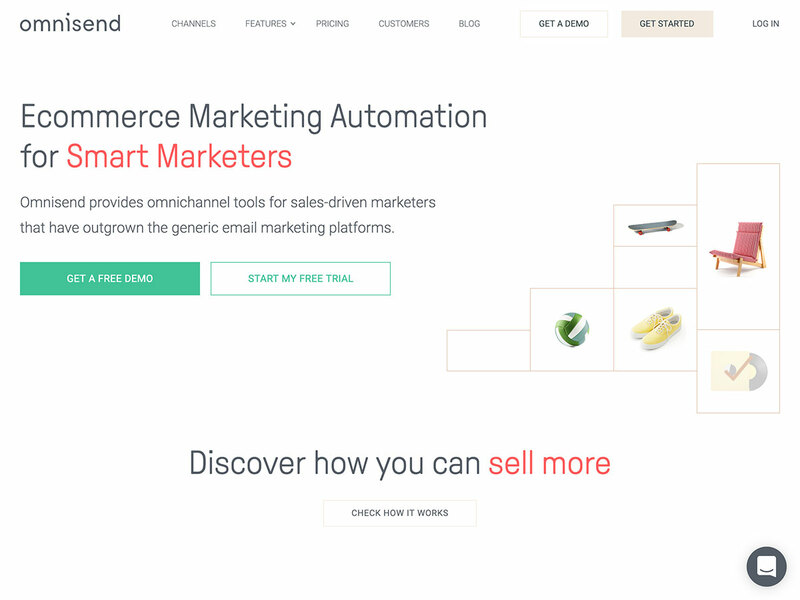 Omnisend is a full email marketing automation suite that uses an omnichannel approach. 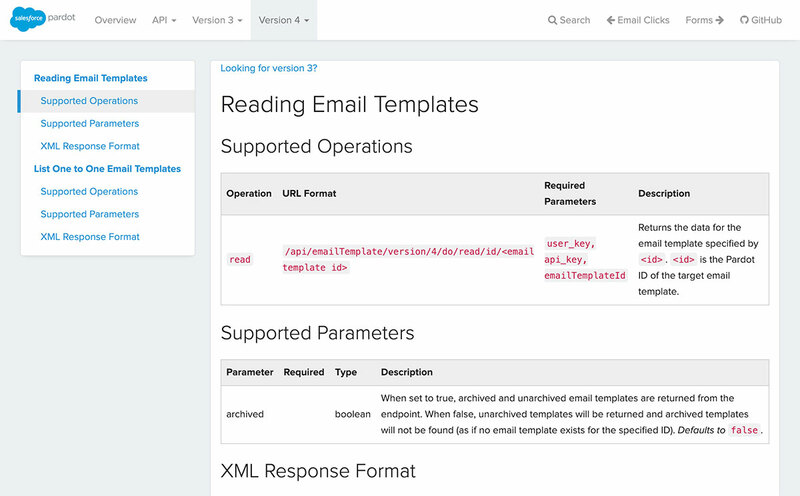 Omnisend provides a user-friendly drag-and-drop email composer with several templates to help you get started with beautiful emails in a matter of minutes. 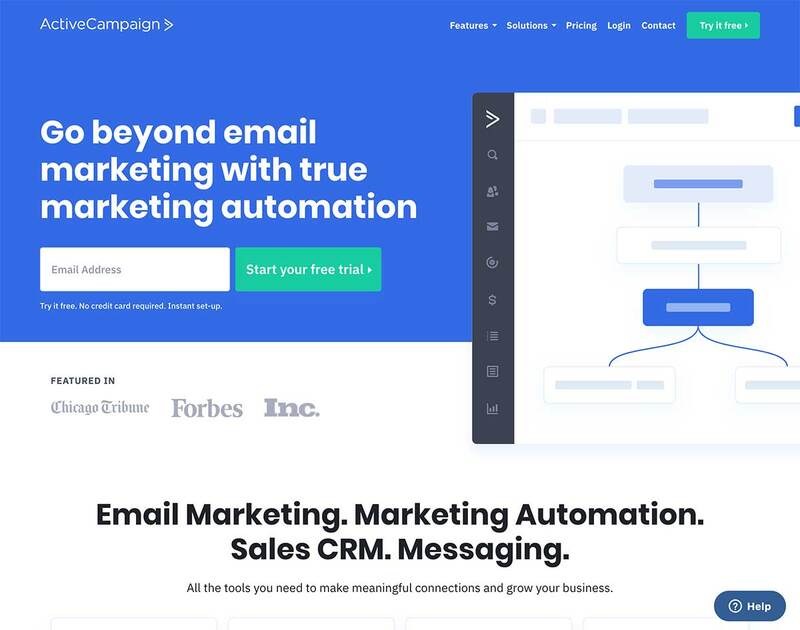 They also offer automated workflows that you can use to automate cart and product abandonment emails, welcome series, reactivation campaigns, and more. Omnisend provides full integration with ecommerce platforms, which means that it gathers critical data on your customers as they are browsing your site. With that, you can use personalization through auto-updating segmentation of your subscriber lists as they move through their customer journeys. You’ll also be able to layer segmentation of profile data and campaign engagement for even more precise targeting. 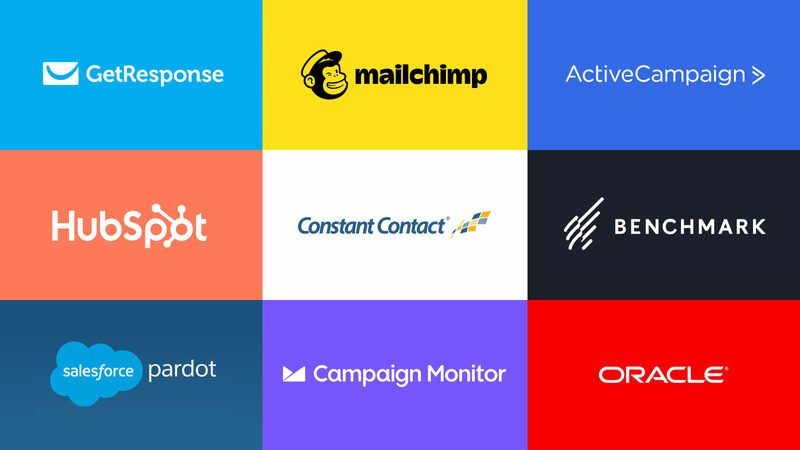 As you can see, developers have a lot of tools to choose from when it comes to mastering email campaigns. The more developers can learn about the backend and frontend of email marketing, the more value they can offer companies trying to reach customer effectively. Emails aren’t finished once you hit send. They need ongoing monitoring, analysis, and improvements to keep functioning at a high level. If you want to see that impressive ROI we talked about earlier, you need to always be learning. For more insight on monitoring your server and email network errors, review this guide: Python network monitoring & error handling — AppOptics. 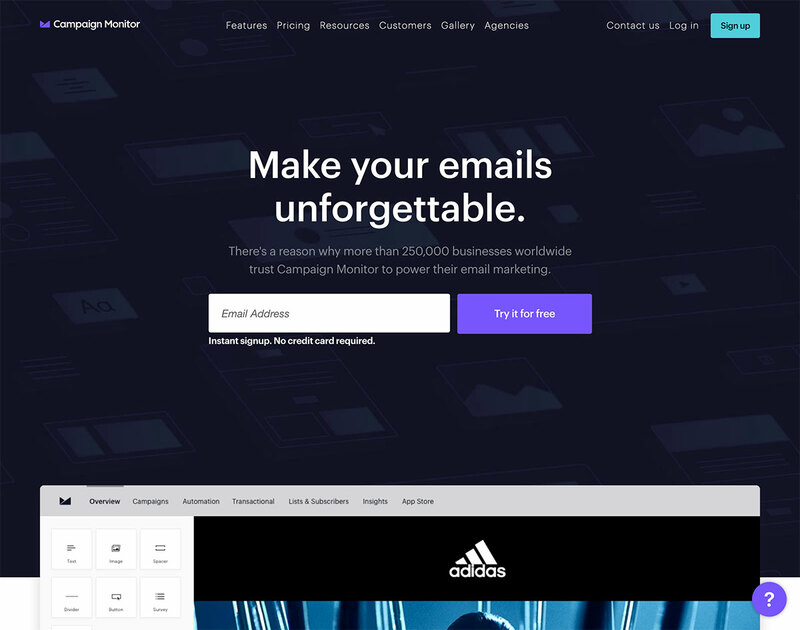 It’s time for developers to take the driving seat in the world of email design. As the internet becomes a more complex place, developers need to guide marketers in responsive and marketing emails. These ESPs are just the place to start. No spam. Just related email content.